Nothing is more important than family, and a divorce, child custody, child support or other legal case involving family law issues can forever alter the reality of your family. 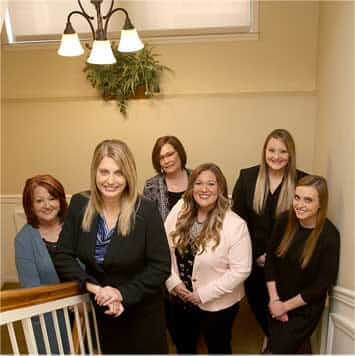 At Ogle, Wyrick & Associates, P.C., we know that family law matters are some of the most difficult and frightening cases people will ever confront. Our family law attorneys are here to help you navigate the process and reach a positive resolution. When you select us as your family law attorney, you will leave our offices feeling as though you have transferred some of the weight you are carrying on your shoulders to ours. Divorce: The way you divorce is important. Whether your divorce is fairly straightforward or you have substantial assets, including business interests to divide, our lawyers can help you find the right solution. Child custody and visitation: We can help you find a way to maintain the special relationship you have with your child today and provide them with the best possible childhood, by advocating for a custody plan that is reasonable and enforceable. Alimony: Spousal support is important for both those who will pay it and those who are to receive it. When alimony is an issue, we will put our experience to work for you to help you work toward a fair agreement. Child support: Accurate determinations of child support are important to ensure that a child has the stability he or she needs. We will explain the state guidelines to you and your rights and responsibilities under those guidelines. In addition to these common aspects of family law, we also assist our clients in negotiating prenuptial agreements that we then prepare, and we handle guardianships and stepparent or relative adoptions. Of course, mediation does not work for everyone. If it does not work for you, our highly experienced litigators will zealously represent your best interests in court. Many family law matters fall within the jurisdiction of the juvenile courts. Our lawyers have extensive experience helping individuals navigate the juvenile court system. Some of the cases we can help you with include: parentage or paternity matters, ordering or enforcing child support for unwed parents, and terminating parental rights and custody matters, including representing grandparents whose grandchildren are not being properly cared for by their parents. To schedule an initial consultation, send us an email or call 865-453-2866. Due to the nature of family law matters, there will be a charge for the initial consultation.